Go Green Like Never Before! Back Off, Black! There is another color to embrace. "Rejuvenate and revitalize in the warm hues of hunter green". Reconnect with Mother Nature and go green to the core in statement pieces! 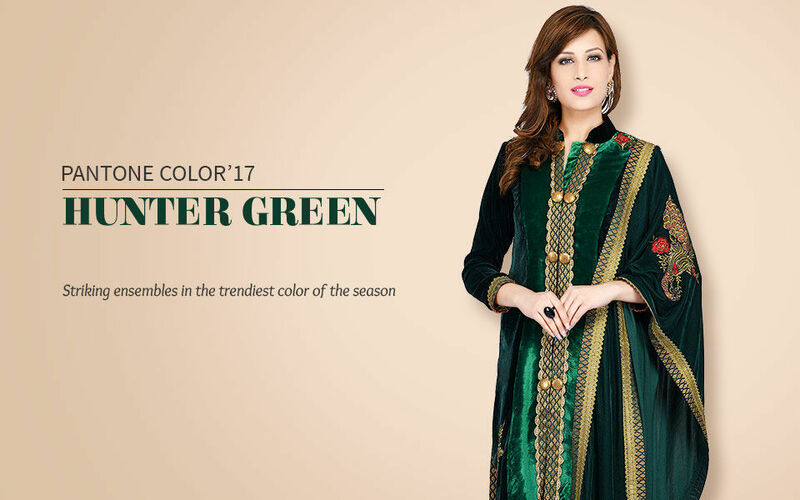 Opt for ethnic wear drenched in liveliest shades of the color. Celebrate it through lush and luxe embroideries and embellishments. Go for green layers for a refreshing hit to your personality.